On-Air On-Soaps got this very exclusive shot of Days of our Lives Chandler Massey, the winner of the Outstanding Younger Actor in a Drama Series, at last night’s 39th Annual Daytime Emmy Awards alongside seven time Outstanding Lead Actor in a Drama Series Daytime Emmy winner, Anthony Geary from General Hospital! During the telecast one of the features we liked was having the new guard- the Younger Actor nominees present the Emmy to the Lead Actor winner. Chandler Massey, many now consider to be one of the finest young actors ever to debut on daytime, and it was also 30 years ago that Anthony Geary won his first Daytime Emmy! 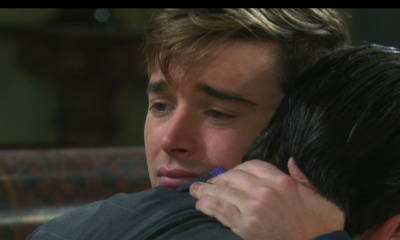 As for Chandler Massey, his acceptance was emotional, short, but sweet, as the young star was poised and a bit overwhelmed, but thanked his family, his colleagues, and the DAYS writing and producing team for giving him such great story to play. What do you think of the Emmy wins of Geary and Massey? Let us know! 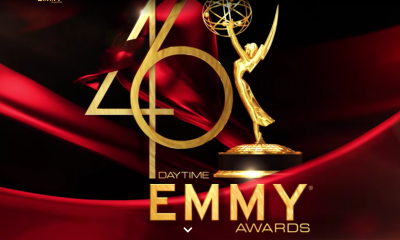 Chandler Massey… So well deserved! Thank you for a tour de force, fete accompli, STAR TURN… As Will. You and Grandma Marlena, the fabulous Deidre Hall… are a constant delight…. a rich twosome. Mother Sammi and Dad Will…. A collective surround of high calibur. it amazes me, when you see, press, and these awards shows… that give us a glimpse in to actors “lives”.. that pique our curiosity… They give us must see, must watch… TV. 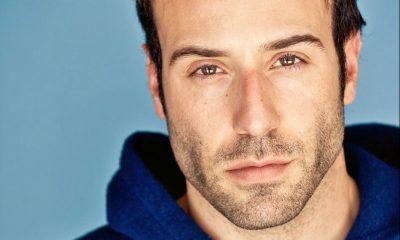 How an actor, can deliver, performances, day after day. I salute Daytime…. and Serials. Mother, Sammi, and Dad, Lucas! Chandler so deserved this. I don’t watch GH anymore, but I always thought Tony Geary was excellent. Days did so well, and continues to with this story. Chandler, Deidre, Freddie, and others, as their characters were clued in have made the story really powerful, and not just a “stunt”. Drake had the best line this week, when he found out, he told Will “You’re gay, you’re out, and I”M proud”. Loved that ! 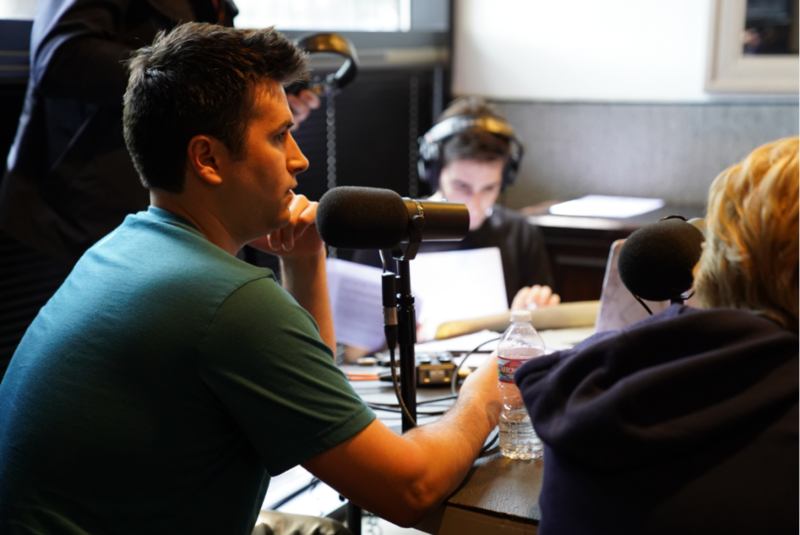 Just saw the episode you mentioned…. 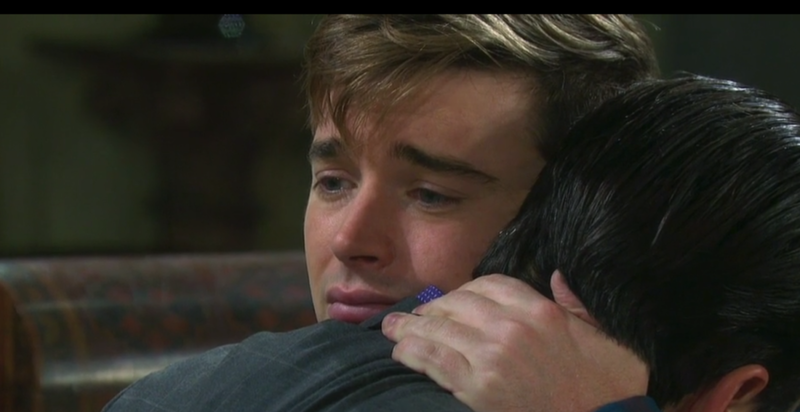 Tears.,, scene ends… with Will and grandma Marlena hugging…. he tells her… “I wouldn’t be me without you”. I thought having the younger actor nominees present to lead actor/actress was great, although some of the young actor noms didn’t seem comfortable with each other or wanting to be there. Strange. So happy Chandler won. He has been fantastic on Days. I was happy to see the show. Did not like the non-existent ‘tribute’ to previously cancelled soaps. Don’t understand that OLTL got little to no nominations and no emmys. Hope we have better news regarding daytime television by this time next year. Many thanks to HLN for airing the show! Loved Tonys speech. Short, Sweet, and honest. LOVE the picture! Best of the daytime veterans with best of the younger crowd. Loved both wins. 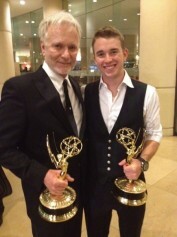 Congrats to Chandler Massey, have loved him as Will from day one. He’s seems like a nice young man and we already know Chandler is a terrific actor. Best Wishes for his future. Chandler has really come into his own, developing the pathos of his role. Im sure an invitation to the enigmatic Atlanta secret society, Par 3, is sure to be his next accomplishment. That would be almost too much to ask for, but undoubtedly, the pinnacle of his career!